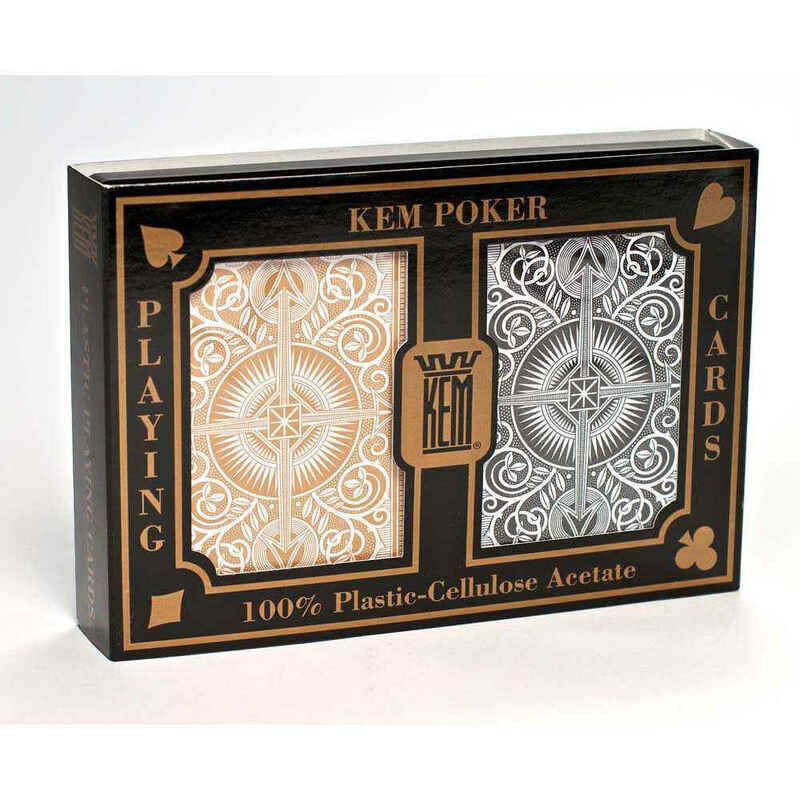 Kem Gold and Black Arrow Wide Standard Index includes two decks of wide, Poker-size playing cards, one gold and one black. The arrow pattern includes a scroll pattern with Kem's classic arrow pattern imbedded. 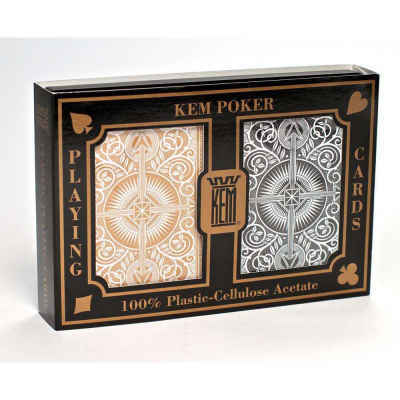 Kem 100% plastic playing cards are considered by many casinos to be the best playing card in the world!